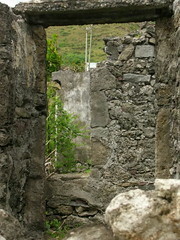 Even thick stone walls weren't able to ward off the effects of a tsunami. What powerful winds weren't able to take down, powerful waves did. An enduring reminder of nature's powerful forces at work.